One can only play with play dough so much before you need to change it up a little. I say that with all the love and admiration of someone who has played with play dough several times a week for the last three years. 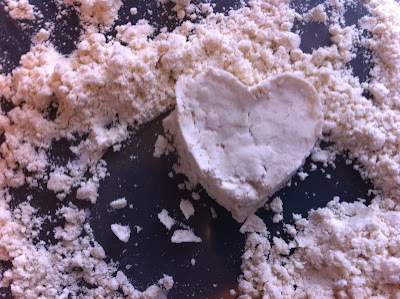 This Fall I saw a few of my favorite blogs writing about Cloud Dough, an easy to make dough that feels light and fluffy. So I figured this week we would shake it up a little and give it a shot. Cloud Dough is unbelievably easy to make, and you most likely already have the ingredients in your house. 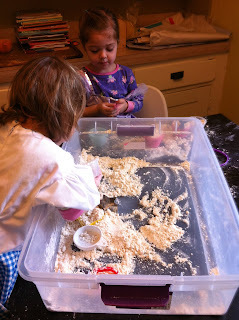 We started by digging out a large plastic tub and putting it on the table. The Bee then helped me scoop out 6 cups of flour and pour them into the bin. I pulled all the flour into a little mountain, made a well in the middle and poured in one cup of vegetable oil. I mixed it together until the oil was fully blended. Once mixed the dough has the feel of flour, but the oil makes it stick together. It is perfect for smushing in your hands, or making shapes with cookies cutters and cups. The girls both loved this! 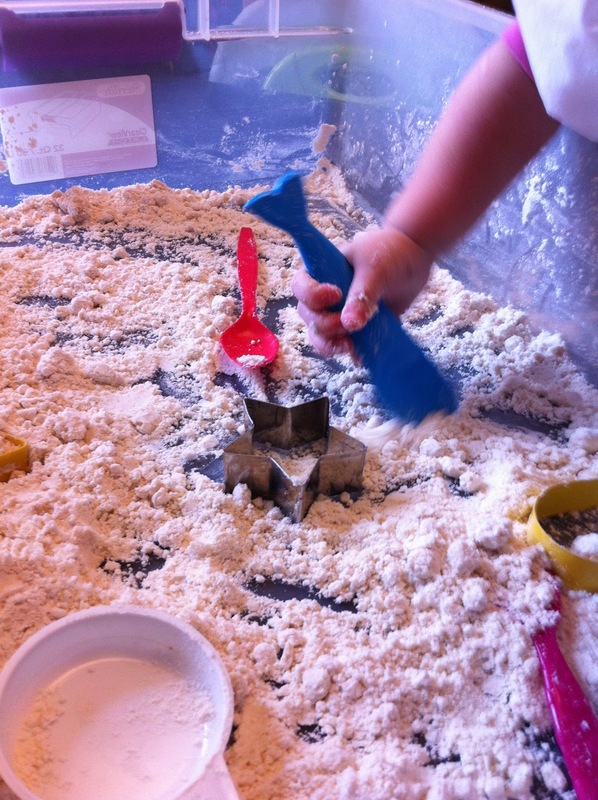 They played for the longest time and made the biggest mess. 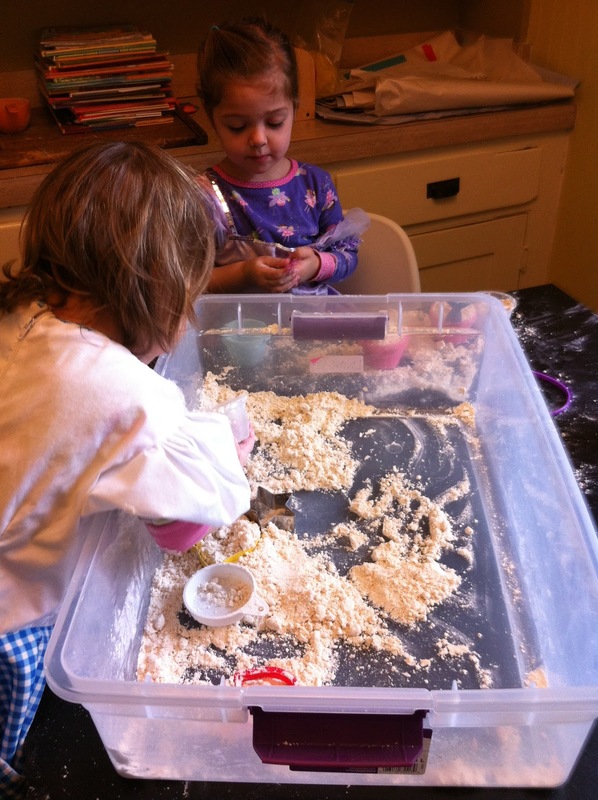 Our kitchen floor was covered in Cloud Dough (despite their best attempts to keep it in the bucket) but because the dough clumps to itself it was actually surprisingly easy to clean up. And it was so fun to play with it was really worth the mess! Excellent - one for my inspiration list!